For the past three years, I have had the privilege every month of meeting with a remarkable group of medical students. I precept a group of about ten, discussing topics that range from death and dying to social media. The class meets regularly during the students’ third and fourth years. Through blog posts and discussion, they share stories from their clinical rotations and personal lives, things they witness and how they think and feel on the wards. We talk about culture, technology, and work-life balance, among other things. These students consistently inspire me with their passion, insight, and honesty. My last group, members of the Class of 2015, set the bar very high for their underclassmen. Over the two years we met monthly, we shared myriad stories and loads of food. They came to my house and knew my children. We slogged through residency applications and interviews, and celebrated engagements, weddings, Match Day and graduation. I loved them. Being with them fed my soul and I could not imagine another group feeling quite the same. In that time I was also growing my own interest in physician wellness and resilience. In 2014 I had the honor of presenting on physician burnout to the primary care providers at the Cook County Jail, one of the largest correctional facilities in the nation, with an average daily census of 9900 detainees. Can you imagine? I learned infinitely more that day than anyone in my audience—God bless each and every one of them! Since then I have presented similar talks to members of the Chicago Medical Society, the American College of Physicians, and at the University of New Mexico. I have connected with other physicians similarly interested in helping our profession uphold its principal call to heal, starting with ourselves. I can joyfully report that I am already in love with my new group of third years. They had me from, “This is why I came to medical school,” when they wrote about their first impressions of clinical rotations. I could palpate their exhilaration and glee at finally getting to help take care of patients, rather than just reading about it and practicing on actors. In July I found myself practically commanding them to, “Print these essays out and hang them all over your apartment for later, when you hit the inevitable wall!” As if it were a foregone conclusion that the fire of passion in their training would dwindle and burn out. Since the summer I have wondered, is it necessarily better to enjoy an ever-roaring fire? Or could there be greater value in the flagging smolder, and the attention and work required to re-ignite the flame? As the students progress in their training, we talk about behaviors that they witness—many inspiring, some not so much. We examine the potential origins of the latter. I ask them to assume that all of us, physicians, nurses, therapists, and other clinical staff, come to medicine to help people, and that we are all kind and compassionate people at heart. What then, drives people like us to behave in such unloving, unkind, dismissive, and undermining ways? Emergency room doctors and nurses crack jokes and exchange snarky remarks about trauma patients, teams rounding on wards refer to patients by their diagnoses rather than their names. The students know the causes—they are the defining markers of burnout: emotional exhaustion, depersonalization, and low sense of accomplishment. It’s not intentional, it’s insidious. It’s toxic, and the medical community is waking up to the costs, both personal and institutional, of burned out physicians. It resembles a plague, infectious and potentially life-threatening, with few reliable treatments. While I would never wish burnout on anyone, I also think that the process of rising from its depths to a new mesa of joy in medicine can be a good thing. For my students who articulate so clearly their Why for being here, maybe all it will take is reading their class blogs or med school application essays over again. Or maybe it will take deeper soul searching and acquisition of new skills, in mindfulness and stress management, prioritization and boundary-setting, to get them out of a burnout funk. Will those surviving this crucible be better physicians, better people, than those for whom the fire never dwindles? I don’t know. I’m reminded of a TED talk by Ester Perel on infidelity. As a researcher, she’s often asked if she recommends that people have affairs, because she studies the personal growth that can result from the experience. She says she would no more recommend having an affair than having cancer. And, that cancer survivors will often tell you that they now live more fully and authentically because of their illness. Maybe burnout is the same? We don’t want it, it’s painful and destructive, but if we can come through it, we may be better for it. What do I need (to take care of myself)? How will I get it (without harming someone else)? How will I be a contribution? Maybe this is a good place to start. Thank you, Maria, for leaving your comment on my post and then expanding it in yours. I learn a lot from your blog, and I look forward to connecting more! Friends, I happily introduce you to Maria Holm, a retired Health Visitor in Denmark. She liked my post! 😀 Please give her blog a visit, she has a lot of neat things to share. Thank you for this wonderful story. I feel we are connected as we share the same values about being engaged in the people we meet. My comment in the quote above comes from a post from a fellow blogger “Healing Through Connection” which is hard to forget and brings many lessons with it. Catherine is a medical doctor in a hospital in Chicago and I am a retired Health visitor in Denmark. What do we have in common? Friends, please read this piece by fellow blogger Pam Kirst, and visit her blog, also. In this post she addresses the central tenets of self-awareness, emotional intelligence, and relationship cultivation. An excellent reminder for all of us! A hot, sunny Labor Day morning: I pull up in front of Kim’s entry bower. Our friend Larry has planted her trellis with morning glories; their leaves are richly, deeply green and glossy, although, Kim says, the plants have never bloomed. “What’s up with THAT?” she asks rhetorically, noting that Larry has never seen such a thing happen: morning glories always bloom. But not these, not at Kim’s house, not this year. There are pots of brightly crisp annuals; there is an old, lazy cat basking in the sun. There is Kim,–the day after her 60th birthday–lifting slowly from her shaded seat inside the bower, turning to pick up her purse and a book we’ve shared, and starting the slow trek to the passenger door. I open my door into traffic, bound out quickly, and run to hug her. “How ARE you?” I ask, exuberantly. Many thanks to all who expressed support and encouragement after my last post—this community continues to amaze me with its welcoming and generous spirit! Now that I’ve had time to reflect some more on the events of last week, I have clarity that I lacked before. Funny how crises lead to growth. First, I regret that I resorted to name-calling when describing the previous tenant. ‘Renter from Hell’ and ‘Lucifer’ certainly represent how I felt about him, and still feel, from my judging self. But really, I don’t know him. I can’t say that he is truly evil. I can judge his actions as rude and inconsiderate, to say the least, but making sweeping claims about his character and shaming him publicly, even if anonymously, does not reflect my highest values. It would be fair to say that I was emotionally hijacked for a few days, fuming over how he desecrated my home. And we all know that we should not hit ‘Send,’ or ‘Publish,’ in that state of mind. Lesson learned. If you have not watched Simon Sinek’s TED talks on leadership, or read his books, Start With Why and Leaders Eat Last, I highly recommend them. He is my new author-hero, sharing the golden bookshelf with Benjamin Zander and Rosamund Stone Zander, authors of my first favorite book, The Art of Possibility. Briefly, Sinek posits that leaders attract followers, and companies attract customers, when they are clear about their ‘why.’ In other words, they discern and exude their central purpose, their raison d’etre. When this is the case, the things they do, their whats, extend directly from the center where their core values live, and serve as tangible evidence for their why. He uses Apple as an example. We may think of Apple as a computer company, but Sinek asserts Apple’s why as ‘challenging the status quo.’ They revolutionized the computer industry with the graphic user interface, the music industry with ‘1000 songs in your pocket’ on your iPod, and the phone industry by dictating to the mobile phone carriers what the iPhone could do, rather than accepting the conventional, opposite practice. Computers, music devices, and phones, Sinek says, are Apple’s whats. They are the outputs of their why, and though disparate products, all align with Apple’s core values. Making great computers and phones is not an inspiring why. Challenging the status quo is. And people for whom that message resonates are the ones who will camp out overnight to be the first to get the next Apple product. They feel connected to the company and show loyalty. For years now, I have used the phrase, “Live your best life every day” as a mantra in my work. This is what I aim to help people do, however they define it, and however they can achieve it. It’s my job to support them in their personal journeys. I try hard to apply it to myself, as well—what does my best life look like today? Best workdays in Chicago look very different from best vacation days in Colorado, and each day can be affected by myriad external and internal variables. But I find that when I can approach life in this way, newly open to possibility each morning, I feel liberated. I am free to redefine my best self, best day, best life, over and again. [You should know, however, that it is a constant struggle and I fall miserably short of this potential most days. But it’s a good practice to continue, and I think I’m getting better over time.] I started my career in a conventional primary care office. I spent five years in an integrative medicine practice, and now I do executive physicals and some concierge medicine. For a while I had a hard time reconciling this last step—it feels a little elitist and contrary to my usual liberal sensibilities. After digesting the Start With Why philosophy, though, I can confidently say that what I do now is entirely consistent with my core values. Today I stand decisively at the intersection of Leadership and Health. My patients are leaders of their organizations, and it is my job to help them take care of themselves. Why? So they can better care for those they lead. By helping them live their best lives every day, they will role model this to their colleagues and staff, and empower those around them to do the same. How do I do this? By taking the time to know each patient as an individual, understanding their personal goals and aspirations. I collect objective data about their health and offer personalized recommendations, based on what I know aligns with their values. Today I happen to do it through executive physicals, but it’s what I have always done. I give presentations to colleagues on physician resilience, and I lead educational initiatives aimed at advancing professionalism and collaboration. This is my why—live my best life every day, and help others do the same, through our relationships. Now I know how I must approach my rental property. It cannot be just another way to make money. It must be another what to my why. My reasons for keeping it must be consistent with my values and goals as a person, which must be the same as my goals as a physician, friend, spouse, parent, and landlord. Renting my home to a tenant is my contribution to their journey of self-actualization! Go ahead, laugh–it sounds completely whacky! And yet, approaching it this way clarifies all of my decisions and actions. 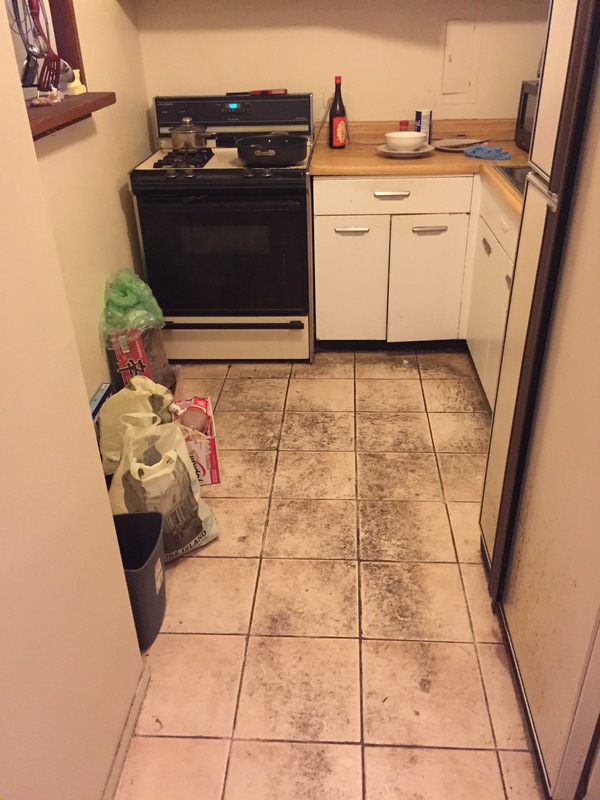 As a landlord with the tenants’ best interests at heart, rather than simply calculating costs versus income, I will move swiftly and easily to repair or replace degenerating appliances and fixtures. I will take an interest in the tenants’ lives and check in with them frequently. I will monitor the upkeep of my property not just for myself, but for them. I will build the kind of trusting relationship that fulfills me in every other aspect of my life. The yield, I hope, will come in the form of respect and appreciation from the tenants, expressed in loving care of my home. You could see it as a manipulation, guilting them into cleaning up after themselves, I suppose. But it doesn’t feel like that. I know now that I want honestly to connect with my renters, to feel good about our relationship. Actions taken out of true caring are very different from mere transactions, and everybody feels it. Before this last tenant, I never experienced this kind of drama and anguish over the apartment. But looking back, something about my relationships with renters felt distant and awkward, not like my other relationships. Now I know why, and it has to change. I have to be me in everything I do, including this. Some people will not want it. They will feel uncomfortable and see me as nosy and prying. Some patients don’t want a personal relationship with their doctor, either—they just want to have their cholesterol tested and their medications prescribed on time. I would not be a good fit for either of these groups, and the good news is they are free to not rent my home or choose me as their doctor. “People don’t buy what you do, they buy why you do it,” Simon Sinek says over and over. “The goal is to do business with the people who believe what you believe, not just the people who need what you have.” This sounds familiar: Seek the fellow lone nuts, the early adopters, the ones with whom my why resonates. If I can do that, no matter what happens, I can make a positive difference in the world, and attain peace for myself. “Please come right away, I cannot live here.” May*, the new tenant in our rental apartment, called Tuesday, pleading desperately. The previous tenant, let’s call him Lucifer*, had left the place in complete shambles, and she was overwhelmed. They had made arrangements directly that he would leave a few things in the apartment while transitioning to his new place. He told her it would be out of the way and ‘not affect your living space,’ and she could get the keys from the sub-letter. As they were both from China, May thought this was reasonable—help out your fellow countryman, out of courtesy. Since they had made their own transfer arrangements, my husband and I assumed he would prepare the apartment for the new tenant—clean up, basically. None of us could have imagined the wretched mess he would leave her when she arrived. His stuff was everywhere—bookshelf crammed tight, closet fully hung with clothes. Dirty dishes and half-used remnants of ginger and garlic lay on the kitchen counter. A five foot-high pile of boxes and bags cluttered the far corner of the living room. The opposite corner housed a broken vacuum cleaner and another tangle of cables, trash, and more empty boxes. A vast array of shoes and slippers occupied seven square feet of living room floor. The hallway carpet had acquired a three inch border of decorative dirt on either side, and the kitchen floor looked as if someone had writhed on it after bathing in 5000 mile-old motor oil. The more I looked the more offended and angry I felt. This had been our home for eight years. My best friend from college helped to install the hardwood floor with my husband when we first moved in, after hubs took out the old, gross, green carpet himself. We shared our hardest years of training here. I watched TV coverage of 9/11 while my husband was on call, hoping Chicago would not become another target. Hubs had laid the kitchen tile himself, freeing cherry hostages from the refrigerator for me every day because I was too pregnant to fit between the repositioned appliances. We lived out of the living room for three weeks and had new, plush carpet installed after the main water pipe burst behind the master closet—also while I was pregnant. It was our son’s first home, where not just his formative memories were made, but ours, as well. How could someone treat it like this? How did we let this happen? On Wednesday I called my friends’ cleaning lady, Saint Anne*, who agreed to come Thursday. After 5 hours she could only make a small dent in the grime. She spent all day again on Friday, much of it on her hands and knees, sweating through her shirt and inhaling noxious fumes of the cleaning products she donated to the project. I brought lunch between errands and made arrangements for Stanley Steemer to come the next day. May stood by, still shocked and appalled at the conditions of her first home in the US. Saint Anne and I could both see the abject horror in her demeanor, wondering if she should stay another night or board the next flight back to China. Saint Anne was a woman on a mission. She did not see this as just another cleaning job. She was contributing to the reclamation and restoration of my home. She was helping a poor, young student, new to this country, find her bearings in untenable conditions. She established a bond with both of us, instantly, through her dedication and unwavering commitment. I stand forever grateful to her for this, and will call upon her for any and all cleaning needs as long as I live. I tried to reassure May that I would do whatever was necessary to make the place livable again. The stove was broken. The air conditioning unit had died. I found myself saying to her, “Please know, whatever I do, I do as if I were living here myself.” On Saturday I waited with her for Stanley Steemer to come, that tedious four hour service window. Saint Anne had done all of the heavy cleaning, GOD BLESS her, and there were still some stains on the kitchen walls. May and I found one pair of rubber gloves, each took one and a rag, and started to wipe things down together. It was the least I could do, to help her feel more comfortable and cared for. She told me how rudely Lucifer had treated her on the phone, saying he would sue if she threw out any of his stuff, and interrupting her as if she were the nuisance for calling him on his vacation. We agreed that he had taken advantage of both of us, and we would look forward to having him out of our lives forever. We shared stories of growing up, and discussed the differences in lifestyle between America and China. We talked about respect, courtesy, and helping out your fellow human. That’s when it dawned on me. Of course, it’s about relationships. Everything is. I let Lucifer trash my place because I saw my relationship with him as merely transactional. I never knew him as a person in the two years he destroyed my apartment; he was just ‘the tenant.’ He never knew me beyond the stranger to whom he paid rent. He had no idea that this was my home, and he had no reason to care. Granted, I think he is likely an exceptionally slovenly and oblivious individual, but still, I played a role in this mess. Relationships take work to establish and maintain. I realized this week that this apartment is not merely a unit that we let out for extra cash. Our tenants are not just strangers who happen to live there and pay rent. The place is our home and the renters its caretakers. Beyond the terms of the rental agreement, if I really expect tenants to take care of my apartment, I have to give them a reason. They must know that I care about them, too. On Friday I had offered to take May shopping, and invited her to my house for dinner. I wanted to make up for the horrible state of things, which I had a hand in creating. She politely declined. I sensed that she felt uncomfortable with the offer, despite her desperate and forlorn situation. Of course. Shopping and dinner are not things that tenants and landlords do together! But we can choose to define ourselves as more than this. Through this experience, I had started to see her as a little cousin. I felt compassion and empathy for her, and imagined how I would feel in her shoes. Our mutual mistreatment by Lucifer connected us. By the time the Stanley Steemer guys had finished on Saturday, the place was not quite shining, but infinitely more pleasant and livable than just 48 hours before. She had told me about an upcoming conference gala, and we agreed she needed a dress, in addition to bedsheets and a box fan. We picked up my kids from their friends’ house, got dinner in the oven (she had her first shortcut cooking lesson—seasoned-chicken-thighs-over-frozen-vegie-bake with rice), and headed to Ross for a very successful, if brief, shopping trip. Dinner tasted great after all that work, and we had watermelon for dessert. She borrowed our box fan and took some leftovers to tide her over until the new stove arrives next week. I made some mistakes in dealing with Lucifer these past two years. I paid the price this past week—several hundred dollars and a lot of time and energy. I also made two new friends, and gained important insights. We may think of landlord/tenant relationships as strictly transactional, and that may work in many cases. It failed this time, and it felt bad. Why not make a new friend if I have a chance, and why allow anyone I would not be friends with to live in my home? When it comes time to find a new tenant, now I know better how to look. I will meet people in person, and tell them the story of the apartment and how much it means to me. I will assess their sincerity in agreeing to treat it as their own. I will convey to them that I see myself and my place as contributing to their pursuit of their dreams. The new people may still trash it—this is always a risk. But at least I will know that I did my best to connect, and the potential human payoff from that makes me positively giddy with joy.